It’s time for some good-time Fundie Fun! 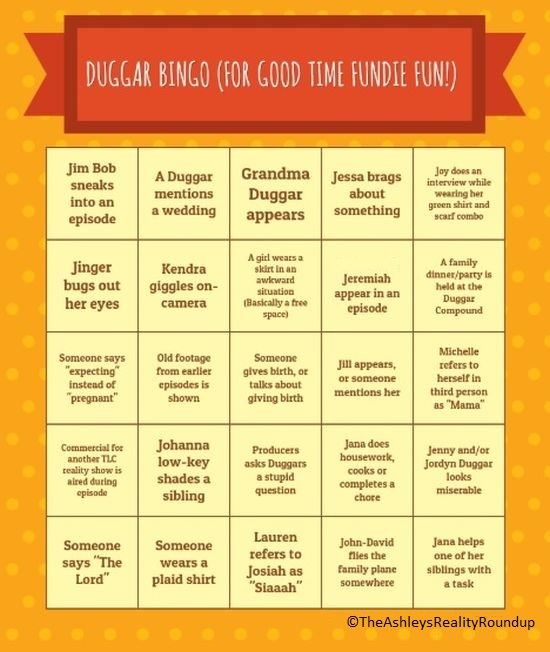 In an effort to make watching the Duggar Family’s reality TV show, Counting On, a bit more exciting, The Ashley has concocted this special Bingo card for viewers to play along while watching those wacky Duggars! Print out these cards and cover the squares as one of the Dugs (or Dugs-in-law) do the things on the card! And, of course, don’t forget to catch up on the latest Duggar happenings by reading The Ashley’s ‘Counting On’ episode recaps! – A disgusting looking food dish is made. – One of the ‘gals stares into her husband’s soul while he is talking. – Ben’s eyes are glazed over. – Someone has “a surprise to share” which requires Jim Bob to yell “Hey Guys” & gather the family together in the living room. 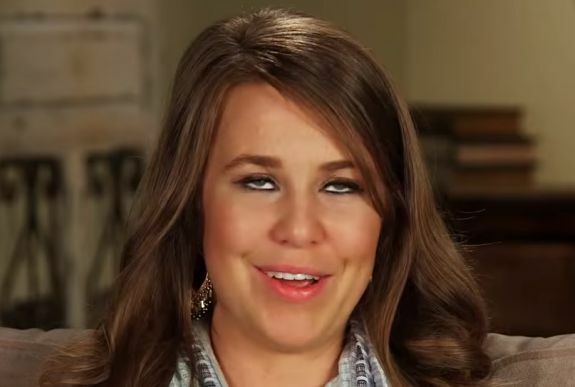 – Mention of how big Duggar heads are / size of Duggar babies. Yay! I’m doing a shot everytime I get a square! Hahahahha!!!!!! That’s awesome! This show is just soooo bland, this will actually make it fun. Don’t watch this show it’s a hypocritical joke.